The U.S. Department of Energy has started building a new, low-yield nuclear weapon at its Pantex Plant in the Texas Panhandle. While the United States claims that another low-yield nuclear weapon is necessary to combat Russia’s nuclear capabilities, this is a dangerous move that will make the world more unsafe. The United States already has about 1,000 low-yield nuclear weapons, and adding another one to the nuclear arsenal will increase the possibility of nuclear war. "Thinking a low-yield nuclear weapon will serve to de-escalate a conflict is absurd and irresponsible; any use of nuclear weapons is inherently escalatory." What are low-yield nuclear weapons? Low-yield nuclear weapons are smaller in explosive power than most weapons, generally anywhere from .3 to 50 kilotons. With roughly 1,000 in the arsenal, these count for ⅙ of the U.S. stockpile. The new W76-2 nuclear warhead the U.S. is currently building is a low-yield variation of the W76-1 carried by submarine-launched ballistic missiles. The W76-2 is believed to have a yield of approximately 5 to 7 kilotons (U.S. non-low-yield nuclear weapons have varying yields from 50+ kilotons to 1.2 megatons). Does the U.S. need more low-yield nuclear weapons? Arguments that the U.S. needs this new weapon are alarming and misleading. 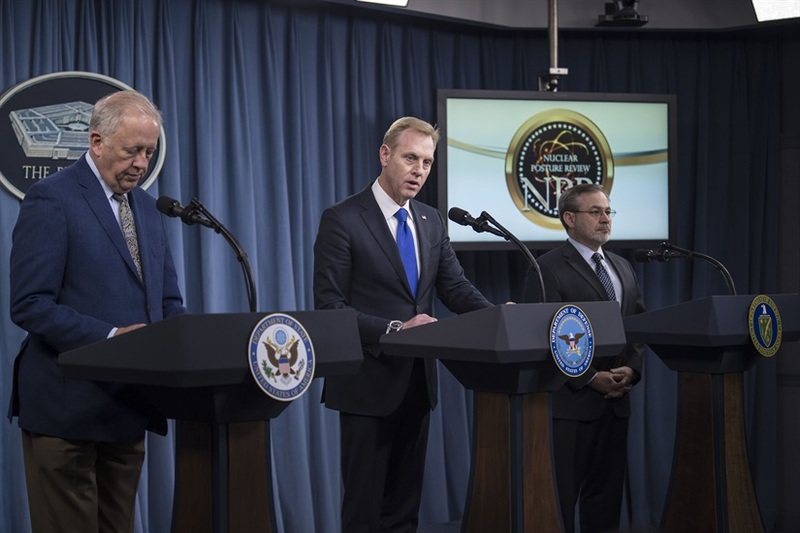 The Trump administration claims the U.S. lacks a “credible” low-yield option to respond to Russian use of a low-yield nuclear weapon. However, as mentioned, the U.S. already has plenty of low-yield options. More importantly, this call for a new nuclear capability is built on the false assumptions that we can control escalation with “limited” nuclear strikes and that the U.S. can fight and win a nuclear war. Thinking a low-yield nuclear weapon will serve to de-escalate a conflict is absurd and irresponsible; any use of nuclear weapons is inherently escalatory. United States and NATO non-nuclear options would be more than capable of defeating Russia in a conflict — there is no need to ever cross the nuclear threshold. A nuclear weapon is a nuclear weapon and any use of one will escalate a conflict. If a nuclear attack occurs, no one will care about how powerful the blasts were. Why are low-yield nuclear weapons dangerous? As the name implies, these “smaller” nuclear weapons may be more tempting and ‘usable’ as they would cause less damage than the other weapons in the arsenal. The use of a nuclear weapon of any capability or size would trigger a worldwide catastrophe. The bombs dropped on Hiroshima and Nagasaki that killed more than 100,000 people and poisoned generations of Japanese civilians were also considered low-yield nuclear weapons. Developing a low-yield nuclear weapon would only add to the already unacceptably high risk that nuclear weapons will be used early in a conflict — either by miscalculation or intent. New low-yield nuclear weapons would decrease stability, encourage a nuclear arms race, and increase the risk that a nuclear weapon will be used again. A nuclear weapon is a nuclear weapon and any use of one will escalate a conflict. If a nuclear attack occurs, no one will care about how powerful the blasts were. 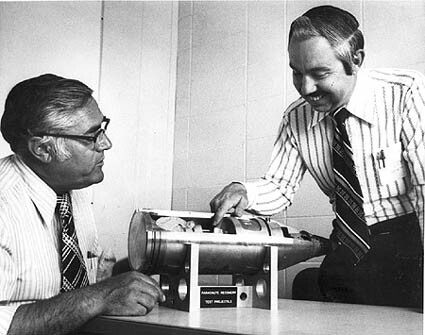 US scientists with a full-scale cut-away model of the W48, a very small tactical nuclear weapon.